The Premier League’s headline game this weekend sees Arsenal host Liverpool at the Emirates Stadium on Saturday, in a fixture that historically brings an ample supply of goals. That will likely be the case this time around too – both teams have averaged two goals per game or more this term and boast some of the finest offensive talent in the whole division. Both managers face some key selection dilemmas this weekend, which neatly follow the footballing cliche of a nice problem to have. Jurgen Klopp’s biggest achievement during the summer was the way in which he managed to arrest his ultimate problem from the last few seasons, a lack of adequate squad depth, whereas Unai Emery’s still wrestling with a conundrum he inherited from the final few months of Arsene Wenger’s reign – how to fit two top-class strikers, Pierre-Emerick Aubameyang and Alexandre Lacazette, into the same starting XI. 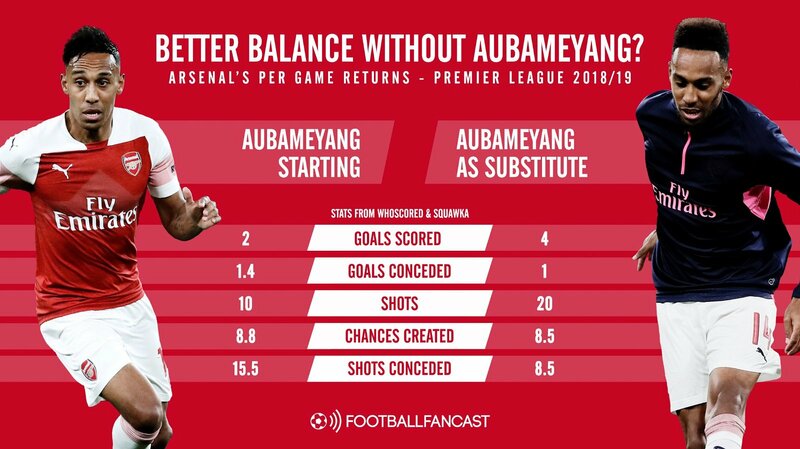 Recently, Aubameyang’s been utilised as a wide forward, but that seems to affect the balance of the Arsenal side. Klopp, meanwhile, must decide whether to opt for the offensive dynamism of right-back Trent Alexander-Arnold or the experience and sturdiness of centre-half Dejan Lovren – which will give an indication of the mentality Liverpool are taking into this game. Would you start Aubameyang and Lacazette together again this weekend? Will: “After a poor showing against Crystal Palace, Lacazette should be dropped and Aubameyang given an opportunity to lead the line through the middle. Our full-backs will need far greater protection than Aubameyang can provide so either Alex Iwobi or Danny Welbeck ought to take up the former Dortmund man’s left-wing berth. What about Liverpool’s defensive ranks – would you start Lovren or Alexander-Arnold? 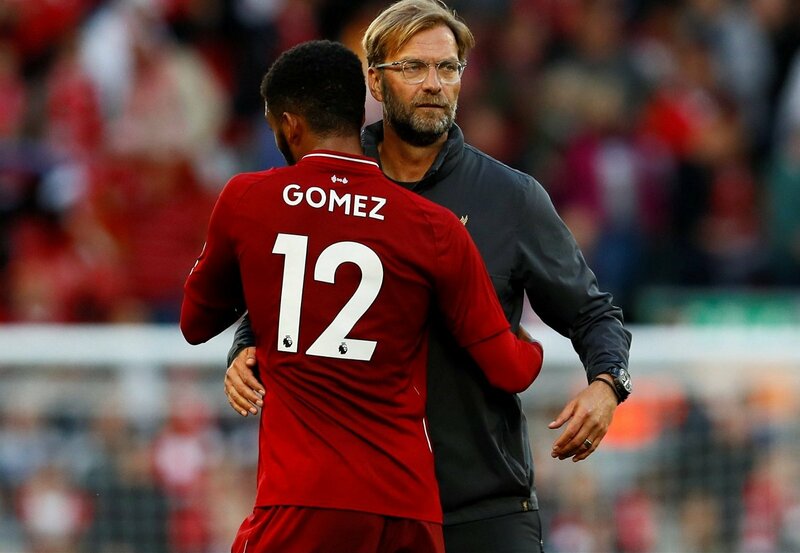 Greg: “For me it has to be Joe Gomez and Virgil van Dijk at centre-back. Together they make up one of the strongest and most dynamic defensive pairings in the league, and they’re both the kind of defenders that strikers absolutely hate coming up against. For all the talk of this fixture’s ability to entertain, Liverpool are a different animal this season. While their goals per game average from last term has dropped slightly, their goals conceded record has shown marked improvements – just four goals allowed from ten games thus far, compared to 38 in 38 outings last season. But the debate continues over whether that’s simply a consequence of a less rampant attack suffering from World Cup involvement or an overt attempt from Klopp to create a more balanced team. Do you think the change in emphasis this season has been deliberate? Greg: “I think this is definitely intentional, there has clearly been a serious amount of work put in on the back four over the summer and having conceded just four goals so far it’s paying dividends. “Spending so much money on a top class goalkeeper also just proves how bad the problem was, but Alisson has made a world of difference. The back four, whoever they are, can finally trust the man behind them and Liverpool look so much more comfortable. Arsenal’s transformation under Emery, meanwhile, has been impossible to ignore amid an eight-game unbeaten run in the Premier League with seven of those being victories. Although the change in style of play hasn’t been a drastic one, there’s certainly something more precise, purposeful and urgent about Arsenal this season – at least, once they reach the second half of games. What has impressed you most about Arsenal this season? Greg: “I think the most impressive thing that Emery has done so far is instil that winning mentality in such a short space of time, especially as most of the players are still Wenger’s. But are there still weaknesses in this Arsenal team? Will: “We lack depth in defence. With Nacho Monreal, Hector Bellerin and Sead Kolasinac all doubts, the prospect of a full-back pair of Granit Xhaka and Stephan Lichtsteiner facing off against Sadio Mane and Mohamed Salah ought to be a major concern for Emery. 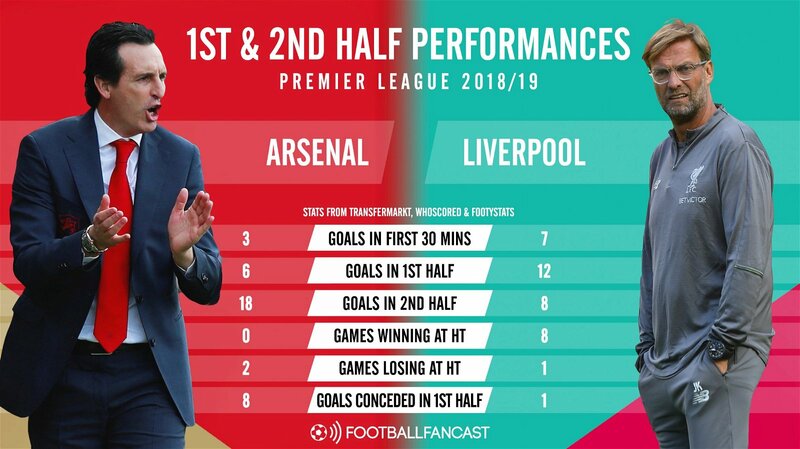 The difference between Arsenal’s first and second half performances this season shouldn’t be underestimated, especially when they’re stacked up against Liverpool’s. Incredibly, Arsenal are yet to be leading a Premier League game at half-time this season, whereas Liverpool have enjoyed the advantage at the interval on eight occasions. In fact, the Reds have only conceded one goal in the first hour of all their top flight outings this season. How detrimental could that trend be against Liverpool? Will: “Arsenal’s failure to stamp their authority upon games from the off is a concern even beyond this weekend’s fixture. 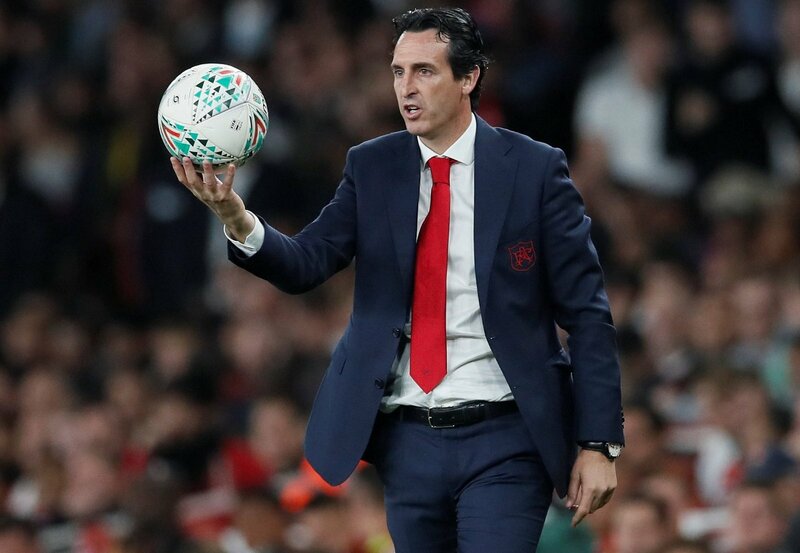 Whilst the Gunners’ ability to kick on after the break is laudable, the fact they are so regularly required to do so suggests that Emery is still searching for his best starting XI and tactical system. Where will this game be lost and won? Will: “This looks set to be a battle of counter-attack vs counter-attack. Both teams will have to take the chances they get as they are unlikely to be air tight at the back. If Liverpool can nullify Mesut Ozil’s influence upon proceedings then the Gunners may struggle to carve out chances. Greg: “I think the key battle will be between Arsenal’s full-backs and Liverpool’s wingers, especially given that Hector Bellerin, Nacho Monreal and Sead Kolasinac will all undergo late fitness tests to decide if they’re ready to play. “We saw Leicester come to the Emirates a few weeks back and put Jamie Vardy directly in the space that was vacated when Bellerin went forward, so whoever plays will be even more worried about coming up against an in-form Sadio Mane.